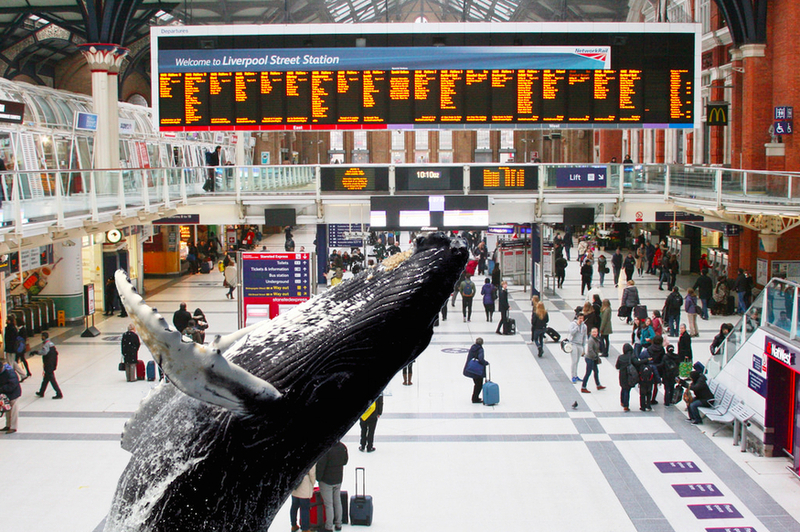 Commuters going through Liverpool Street station could soon be walking below a life-size model of a humpback whale. 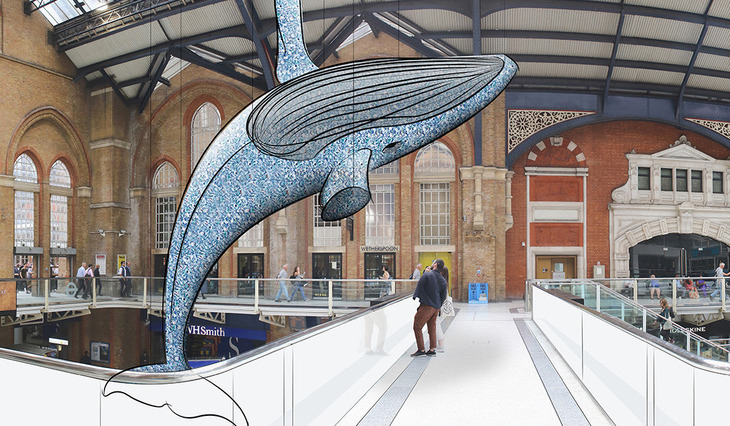 The 14m whale will breach one of the railway station's high-level walkways, and will be made entirely of sustainable materials, all eco-friendly substitutes to plastic, to raise awareness of the damage plastic is doing to the oceans. It's designed by art collective Acrylicize — but it's not going ahead just yet. Network Rail is on board, but the project is seeking sponsorship to raise the funds needed. Contact amber@acrylicize.com for more information. A 3D printed model of the proposed installation is on display at House of Vans in Waterloo until 30 September 2018, as part of a Blue Dot Generation event about the relationship between humans and the ocean.